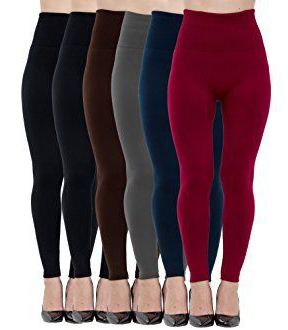 Homma 6-Pack Fleece Lined Thick Brushed Leggings: made of genuine Homma Fleece, really soft inside and out, and very stretchy for guaranteed comfort. 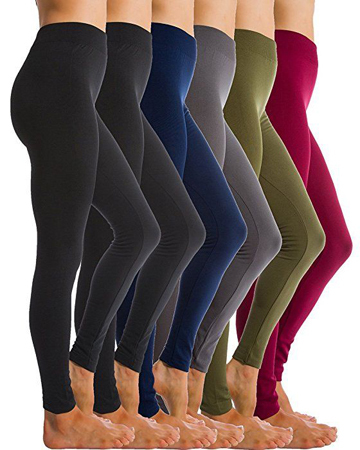 Fleece Lined High Waist Leggings: great for indoor and outdoor wear, lined with a thin insulating layer of fleece on the inside, elastic. 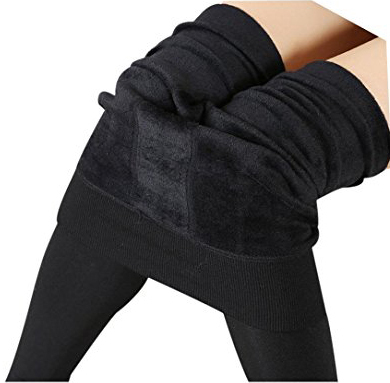 HDE Fleece Line Nordic Design Leggings (N/A): inner lining of thick and soft fleece for better insulation, especially in windy days, stretchy waist. 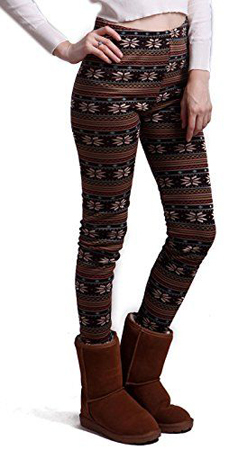 Futuro Fashion Warm Thick Winter Leggings: slim and stylish cotton leggings, low-waist design. 90 Degree By Reflex Fleece Lined Leggings (N/A): a fantastic option for a variety of sports, very breathable and with fleece lining. Koly Thick Stretchy Thermal Leggings: thermally insulated for those who really feel the cold. 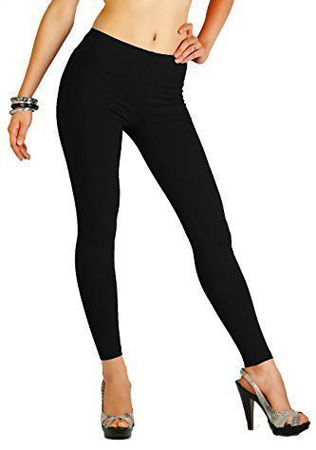 Conceited High Waist Winter Leggings, Regular and Plus Size: suitable for all body types and sizes, stretchable and form-flattering. Me in California Printed Leggings (N/A): lined with fleece, comfortable and non-seethrough fabric. Angelina Winter Leggings: high waist for a flattering silhouette, opaque fabric. Now let’s review them more in-depth! This first design is by Homma and you can get a package of 6, for a very affordable price. They are made of genuine Homma Fleece, which is 100% Polyester. These are really soft both inside and out and are also very stretchy. This means guaranteed comfort when wearing them. They have a high waist, designed to remain in place and not roll down, as it often happens with leggings. 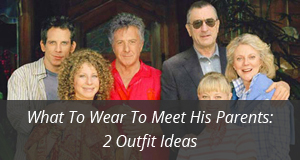 You can wear them on their own, due to the opaque and not see-through fabric. They are very form-flattering as they will make everything appear slimmer. You can choose from 5 different color combinations, which include the colors: Grey, Black, Burgundy, Blue, Olive, Navy and Brown. This pair comes in a Nordic design and are by HDE. 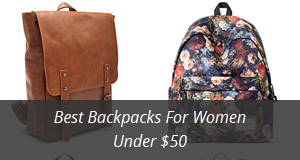 They are great to wear with Ugg boots, bringing back the popular trends of fall and winter. The fabric is a blend of 70% Cotton and 30% Elastane for the upper part, with an inner lining of thick and soft fleece. This lining is designed to provide better insulation, especially in windy days. The waist is stretchy and they fit a bit loosely, very suitable for different body shapes and sizes. There are 16 different patterns to choose from, including: Deer, Snowflakes, Hound’s tooth and Bunnies. These high waist leggings are a great option for both indoor and outdoor wear. They are lined with a thin but highly insulating layer of fleece on the inside and are elastic all over. The special feature is the high and elastic waistband, which helps smooth everything out and tuck the belly in. You can order them in packs of 3 or 6, this way you won’t have to go a day without the comfort and warmth they provide. There are 5 color options to choose from: Black, Navy, Charcoal, Brown and Burgundy. Slim and stylish, Futuro Fashion‘s cotton leggings are a must-have. They are made of 95% Cotton and 5% Elastane. These are warm enough to withstand temperatures as low as -5°C (23 F), while also being completely opaque. This is a low-waist design and adapt easily to all body shapes. The colors available include: Black, Brown, Lilac, Beige, Navy, Plum and Royal blue. For the yoga lovers out there, this design by 90 Degrees By Reflex is a fantastic option for a variety of sports. The material is 90% Polyester and 10% Spandex, super breathable and with fleece lining on the inside. 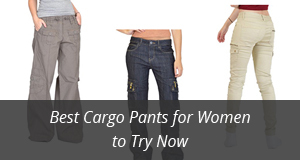 They are especially suited for women who are prone to thigh chaffing, as the special crotch stitching prevents that. The waist is pull-through for better fit, comfort and to keep the leggings in place. These are slim-fitting leggings and tend to run a bit smaller, due to the thick fleece lining, so keep that in mind when choosing the size. The color selection includes both classic and vibrant colors, such as: Magenta, Teal, Purple, Retro space dye and Black. Not only thermally insulated, but also in a very smart design, Koly‘s leggings are the best option for those who really feel the cold. They are made of Polyester and Spandex on the outside, with a thick and fluffy inner lining of Fleece. What sets them apart is the ankle cuff, which extends all the way to the foot, providing extra warmth. The high waist is specially designed to stay in place during movement and feels very comfortable. There are 8 colors available: Black, Beige, Navy, Purple, Coffee, Red, Gray and Green. By Conceited, these leggings are suitable for all body types and sizes, with specially designed fabric for the plus size ladies. They are very stretchable and form-flattering, making the legs appear long and slim. The inner fleece lining is extra warm and very comfortable. Being non-seethrough, you can wear them on their own and look great. The color selection is abundant, with more than 15 colors to choose from. Bear mentioning: Magenta, Yellow, Mauve, Teal and Rust orange. Another patterned design, these ones are by Me in California. They are made of 85% Polyester and 15% Spandex and lined with top-notch quality fleece on the inside. The low-cut waist is very comfortable and the non-seethrough fabric, along with the variety of patterns, make them a great everyday option for gym and casual outings. There are 20 colors and patterns available, labeled by numbers. We are ending this selection with these plush leggings by Angelina. They are made of 70% Polyester, 20% Nylon and 10% Spandex. The high waist is designed to stay in place and also tuck the tummy in, for a flattering silhouette. The fabric is opaque and they come in One Size. There are more than 10 color options, including: Black, Orange, Red, Teal and Fuchsia.